After spending decades frozen in time on New York’s subway ads, local celebrity dermatologist Dr. Zizmor has finally started to experience some of the problems regular people face. First — as the world was shocked to learn when a recent photo surfaced online — he is aging. 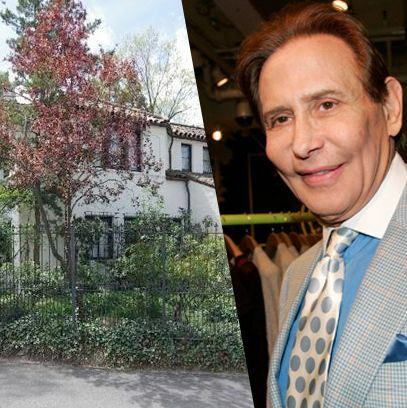 And, as Curbed and Gothamist just noted, Zizmor seems to be having trouble selling his luxurious house in the Bronx neighborhood of Fieldston. The seven-bedroom, six-and-a-half bath Mediterranean Revival mansion has been sitting on the market for 720 days, even though the asking price has been lowered from $4.3 million to $3.9 million “off-market” (which could mean that Zizmor has stopped trying to get rid of it for now.) According to the listing, the 6,332-square-foot home boasts “remarkable architectural detail of a bygone era” that “simply must be seen to be appreciated” — not unlike the rainbow posters promising clear skin that continue to grace the city’s transit system. If this place has even half the charm of its owner, then we think it’s probably worth a look.